In two previous blog posts I have discussed practical benefits of kitchen gardens (cost, health, and taste) and collective benefits (environmental, sustainability, and building community). Today, I would like to discuss six more personal, intangible factors that keep me returning to my habit of kitchen gardening. I have a "day job" that can be fast paced and stressful. 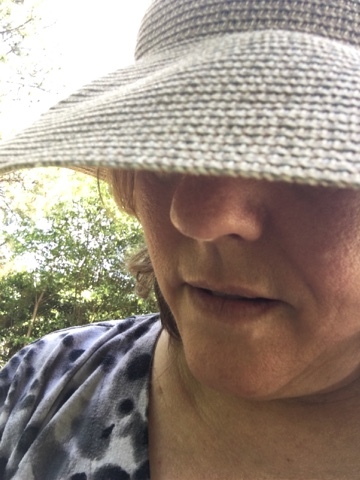 Committing a half hour per day to gardening helps me carve out personal space, engage in an activity very different from my other vocation, and restore a work life balance. For me personally, gardening time is quiet time. It is a long moment of silence. It is a time to look at some item in detail, whether it is weeds or bugs or dirt or new plants. It involves focusing attention on something that is not related to work or stress or other things in life. It allows for creative interruption and regrouping of ideas in a way that benefits the way I think in other areas of life. Watching a garden grow, on a daily basis, sometimes feels akin to waiting for a pot to boil. (I am alluding to the adage, "a watched pot never boils.") Indeed, gardens grow even slower than the water boils! They take months, sometimes years, to reach maturity! Yet, grow and change they do! Inexorably, plants grow, mature, wilt, and die. It doesn't hurt us to experience this cycle of life, change, and death, on a different pace than what we see in our daily, hectic, industrial lives. It is good to remember that even when things seem to be standing still, they are in fact moving forward. This leads to seasonality and connection with changing seasons, as well. Gardens remind us of seasons. They remind that seasons are real, that there are times for doing things and times for refraining. They remind us to be patient. And they also remind us that fruit comes to those who do their part and wait. There is something simply satisfying about providing food for the table. Whether it is a sprig of basil on a sandwich, parsley in a tabouli, or a curry made all from home grown vegetables, there is a satisfaction that comes from being able to say, "I grew this." 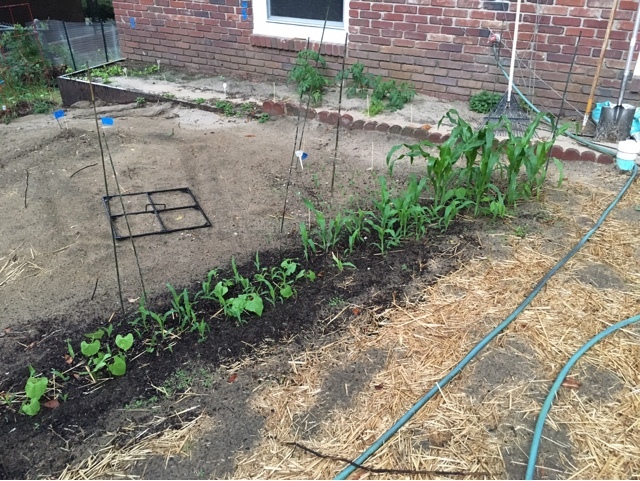 My first memory of gardening was when my mother showed me how to weed the corn seedlings that were popping up in our garden. She showed me which plants to pull up and which to leave in the ground. Then she sent me to work on my row, while she did hers. 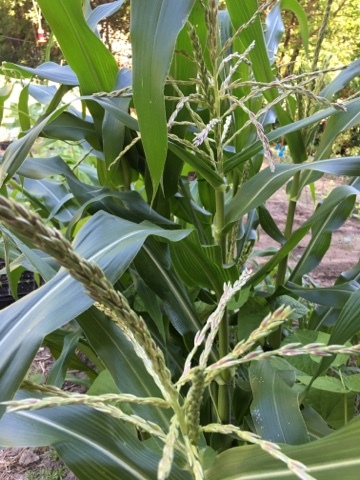 When she came back, I learned that I had pulled up all the corn seedlings and left the weeds! Fortunately, there was still time to replant, and one must admit that it was a memorable mother daughter time! Other memories of gardening involve my grandparents, my uncles, my father. All passing along their collective wisdom and a heritage that includes growing plants and living a sustainable, self-sufficient lifestyle. This is not the only connection with the past, however. My grandparents learned their farming practices from their parents, who learned from theirs, etc. When I pick up a hoe to weed, I imagine many ancestors before me who used an almost identical tool to do almost the same thing. The fact is, that I am a hobbyist whereas they were working to provide table sustenance through long winter months. Nevertheless, gardening connects me with them, with that heritage, and with the skills of self-sufficiency that they passed along to me. Just as my parents and grandparents passed their skills and ideas along to me, so I also want impart those to my children. I have wonderful memories of sharing the preparation of soil, planting of seeds, harvesting, cooking, and eating garden produce with my own children. As such, the heritage of my past lives on into the future, passing memory and family story to the next generation. Gardening facilitates the sharing of values and things that I value with those whom I particularly value.